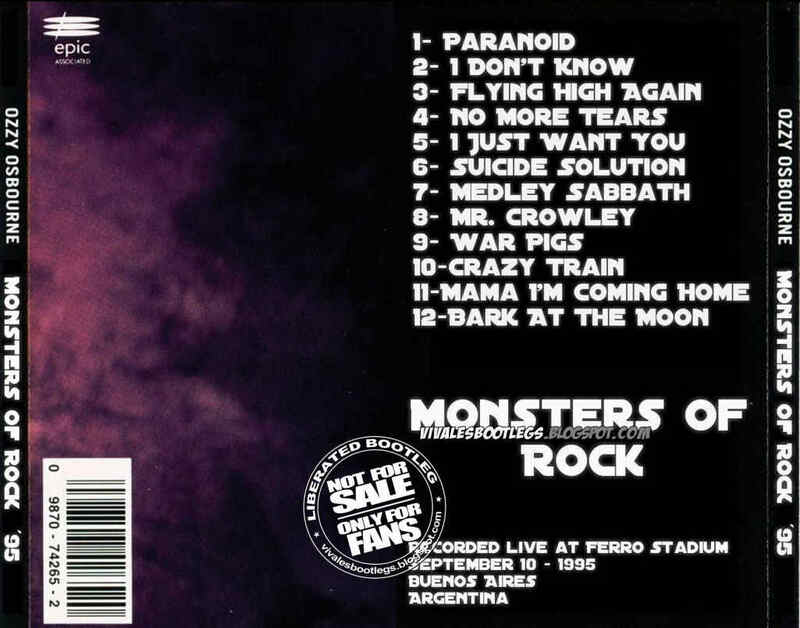 Recorded Live at Estadio Ferro Carril Oeste, Buenos Aires, Argentina - September 10, 1995. Solid Soundboard Recording :: Silver CD :: MP3 CBR 320 kbps & FLAC. Files: 12. :: Size: 175.55 MB (mp3) | 452 MB (flac). 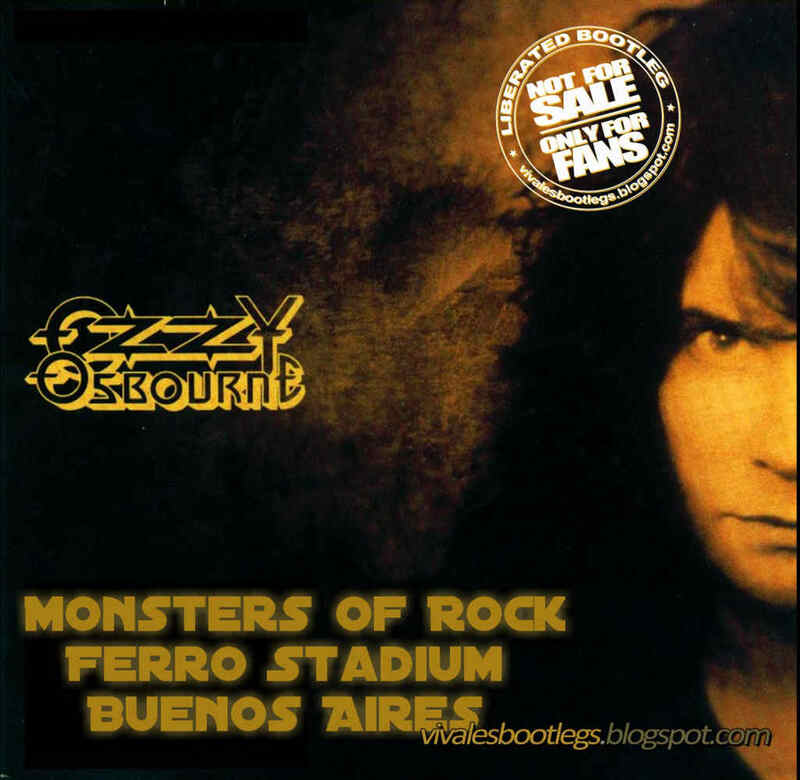 Personnel: Ozzy Osbourne :: Joe Holmes :: Geezer Butler :: Deen Castronovo . 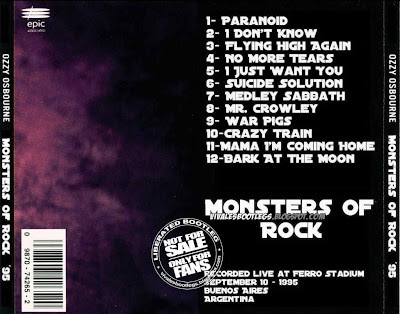 Notes: Show day at Ferrocarril Oeste Stadium, Buenos Aires, Argentina Monsters of Rock show. This was another amazing show. This wholeSouth American trip was a total education to me. I can t wait to go backsoon. I phoned my old drummer, Randy Castillo, today. He told me thathis band project had fallen apart, so I asked him if he wanted to come outand join us on the tour. I think Limo Man should go get a gig with JerryLewis or something.<-(Info taken from ozdiary ozzyhead.com). dedicated solely to Lou Reed and the Velvet Undergrond. I think the fan of Viva The Bootlegs are interested in. and thank you again for everything.